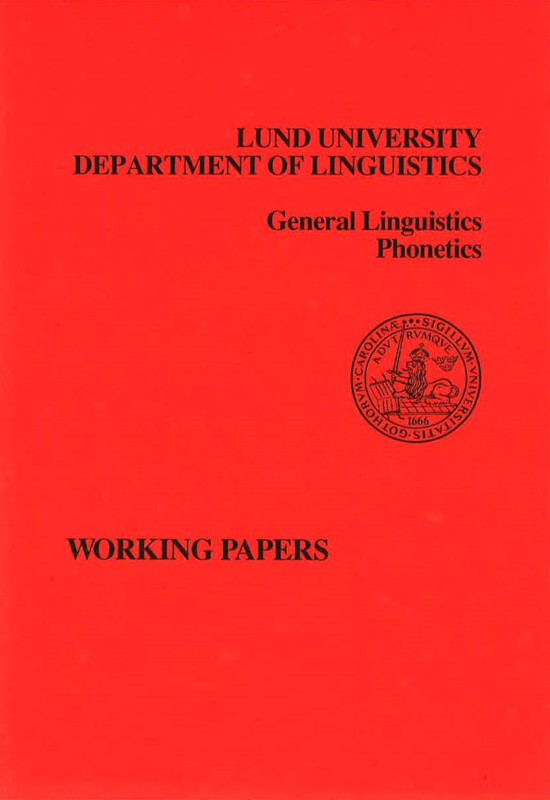 The present article is a functional analysis of intonation in Russian declarative utterances. Pragmatically relevant tonal patterns and their functions are identified and described. Utterances are analysed in terms of theme and rheme. Theme is signalled by a tonal rise and rheme by a falling tonal gesture. Beside thematic and rhematic tonal gestures, other rising accents in the utterance are identified. My claim is that they are important in maintaining balance in prominence in neutral utterances and that they are obligatory parts of a narrative speech style. They are named rhythmical accents. A distinction between three pitch intervals is useful in generating pitch accents with different functions. Deaccentuation is a marked feature of non-neutral utterances with focus. Three types of hat pattems with connective function are recognised.